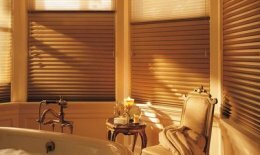 Hunter Douglas – Classic Interiors & Design represents window treatments products from Hunter Douglas. They offer the industry's largest collection of energy-efficient, custom-made window treatments. Headquartered in Upper Saddle River, NJ, Hunter Douglas is the leading manufacturer of custom-made window fashions in North America. For more than 60 years, we have been making a big difference at the window and in homes across America. Designed and assembled in the U.S., and backed by a Lifetime Guarantee, our sheers, shades, honeycombs, blinds and shutters can be customized with lifting systems for added safety and convenience. Consumers Digest Best Buy Award, Restonic has taken the time to focus on the little things, making sure every stitch of your mattress meets the highest standards, giving you the comfort and value you deserve. And since we've been perfecting our techniques for more than 70 years now, we know that when you stretch out on any one of our superior mattresses, you'll be a sound sleeper in no time.